The former Scientologist turned activist sets her sights on another problematic religious organization’s practices. A&E’s Leah Remini: Scientology and the Aftermath season 3 doesn’t premiere until later this month. In the meantime, the hugely popular (and controversial) docu-series is airing a new special about Jehovah’s Witnesses this week at the request of its fans. “I thought Jehovah’s Witnesses were just nice people knocking on doors,” the actress says in a promo. However, she continues, the show has “received many letters” asking them to “please look into the Jehovah's Witnesses.” So they have. Here's what you need to know about the Leah Remini Jehovah's Witnesses special. What is the Leah Remini Jehovah's Witnesses special about? 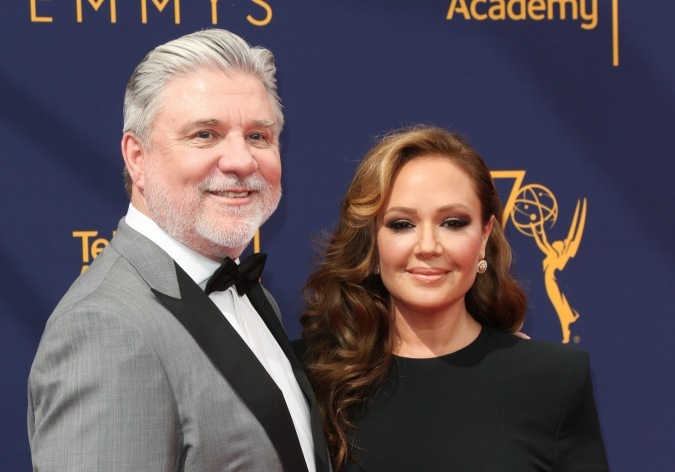 In Leah Remini: Scientology and the Aftermath: The Jehovah's Witnesses, Remini and co-host Mike Rinder, also a former Scientologist, take the same format used for the show’s first two seasons and apply it to the millenarian restorationist Christian denomination that boasts over eight million members worldwide. These numbers are roughly in the same ballpark as the Church of Scientology’s which, depending on the source, range from eight to 15 million across the globe. Unlike the show’s primary target, however, the new special’s focus is a much older organization that dates back to the mid-19th century. So what should viewers expect from the Leah Remini Jehovah's Witnesses special? Much of the same, if they’re already familiar with the program’s first two seasons. She and Rinder sit down with ex-Jehovah’s Witnesses to discuss the group’s practices and beliefs and the negative impacts these have had on its members, past and present. These formal interviews and roundtables are punctuated by brief dramatic reenactments of scenes described by the interviewees. As is usually the case with these types of shows, anyone expecting a “smoking gun” or a massively shocking series of revelations will most likely be disappointed. Then again, as is the case with Scientology and the Aftermath seasons one and two, the Jehovah's Witnesses special is more about taking a lot factual and anecdotal information and condensing it down into a single digestible chunk. Whether or not the show’s approach to its new topic is “fair” remains to be seen. Like with its focus on the Church of Scientology, the program’s latest special will most likely draw criticism from members of, or those sympathetic to, the Jehovah’s Witnesses religious organization. But chances are pretty good that audiences will learn something new. Leah Remini: Scientology and the Aftermath: The Jehovah's Witnesses television special airs Tuesday, Nov. 13, at 9 p.m. on A&E.